Saturday 10th August and Sunday 11th August 2019 (11am to 5pm each day), plus Friday evening 9th August. 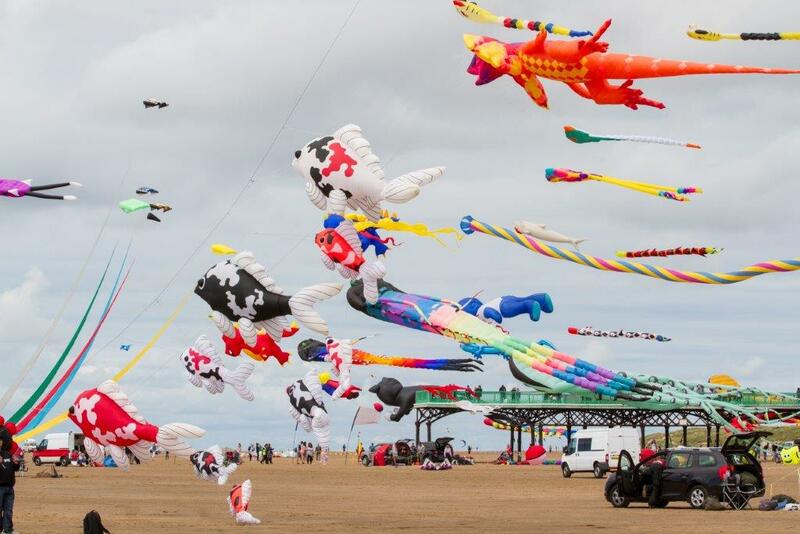 Taking place on the wide open beach in St Annes On the Sea, this is an extremely popular family event with visitors coming from all over the country. 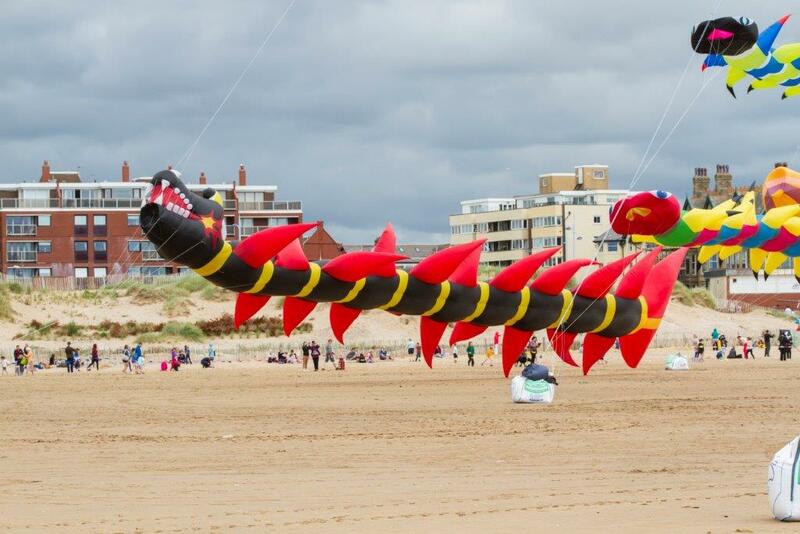 The 2019 St Anne’s Kite Festival will take place this August. 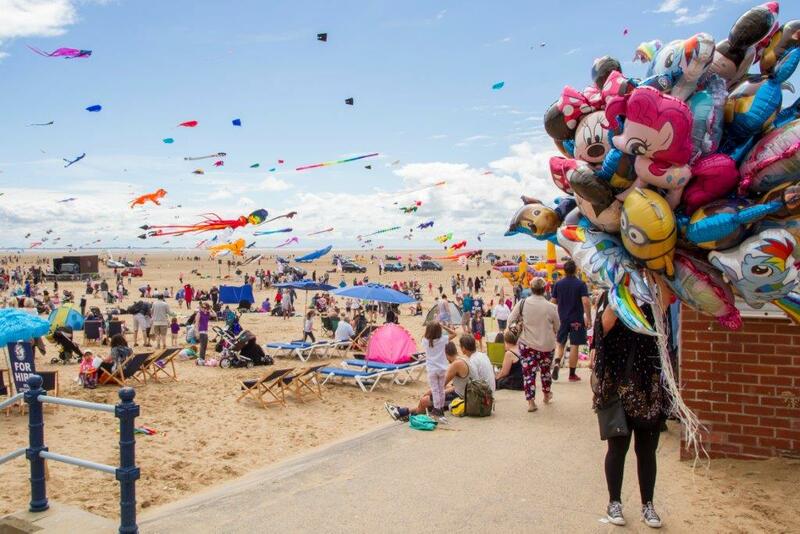 Joined by kite teams from across the UK and overseas, the event will make the skies above St Anne’s seafront awash with colour on Saturday and Sunday as fabulous display kites take to the air on the beach adjacent to the pier. Weather permitting, the event promises a thrilling and thoroughly enjoyable day out for young and old alike. 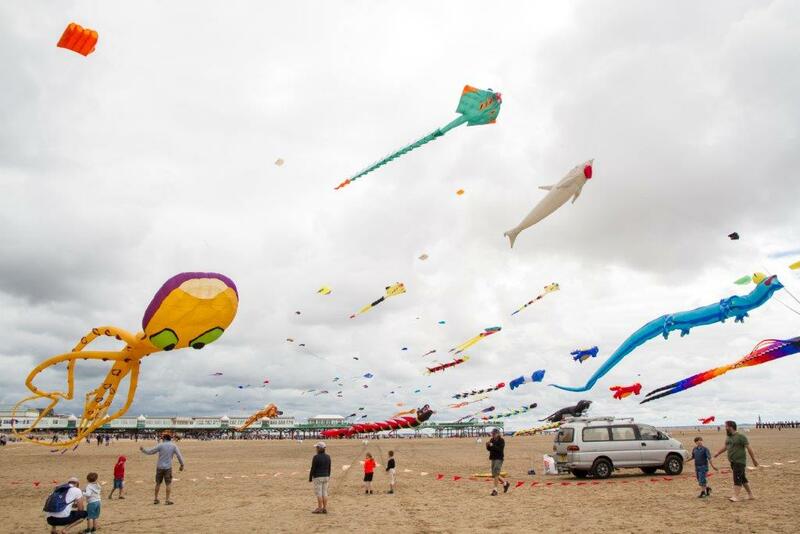 This year the weekend kite festival runs from 11.00am to 5.00pm on Saturday and Sunday. Time to gather friends and family together for All The Fun Of The Air! 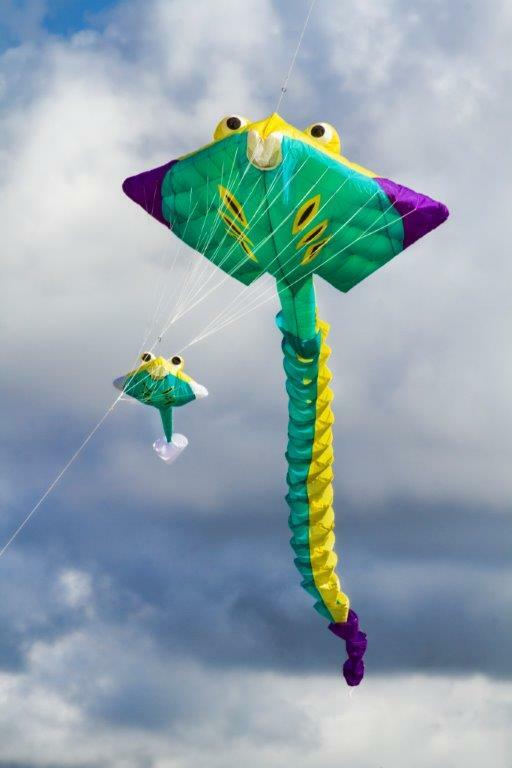 There is also an illuminated kite flying evening on the evening of Friday 9th August. And don’t forget to bring your teddy bear or cuddly toy to take part in the teddy parachute drop. Each brave teddy will receive a very special certificate of achievement. Thanks to the sponsors and contributions from the local community which go towards making this fabulous event happen. Why do the dates change from year to year? 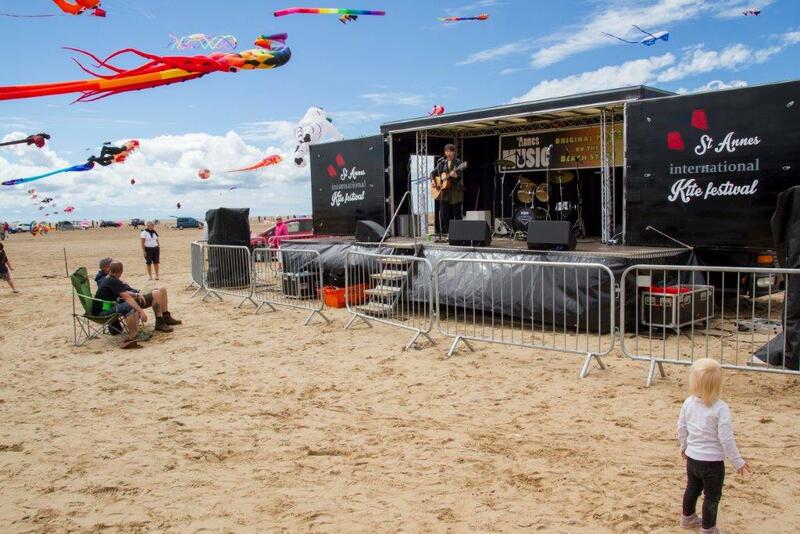 As a beach event on the Fylde coast, the event is tide dependent and just part of a well established local events calendar. We have to work with the low tides and pick a weekend that does not clash with any other major events in the immediate area. Where does the event take place? 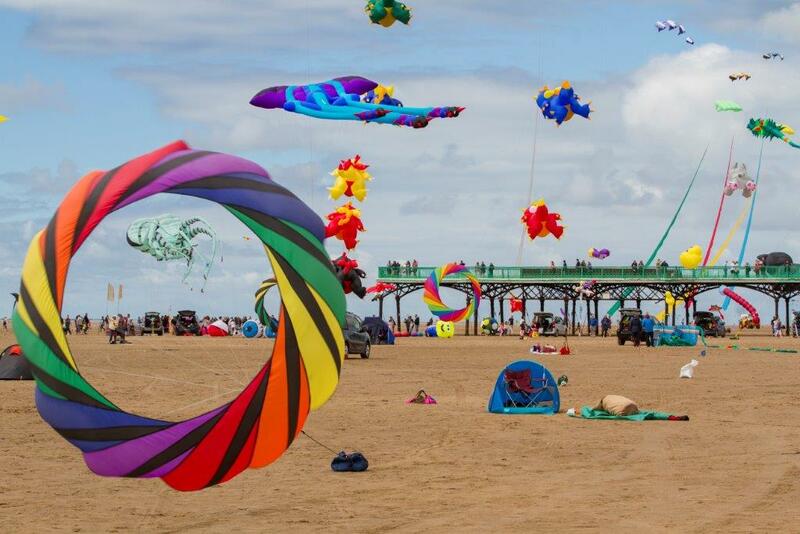 Look for the kites on St Annes Beach, close to St Annes Pier (FY8 1SB), just off North Promenade. Can I bring my dog? Dogs are not allowed on the beach Good Friday to Sept 30th, but you can get a great view of the kites from the Promenade. 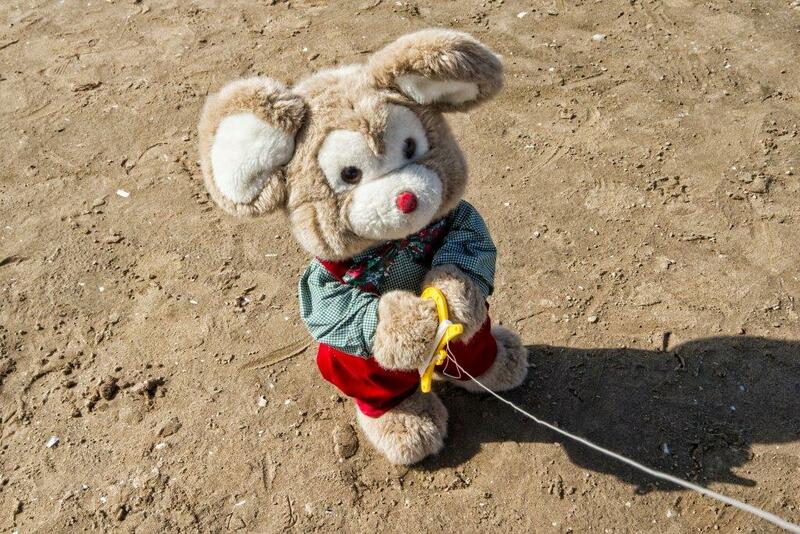 Keep your dog on a lead at all times and clean up after your dog, should you need to. 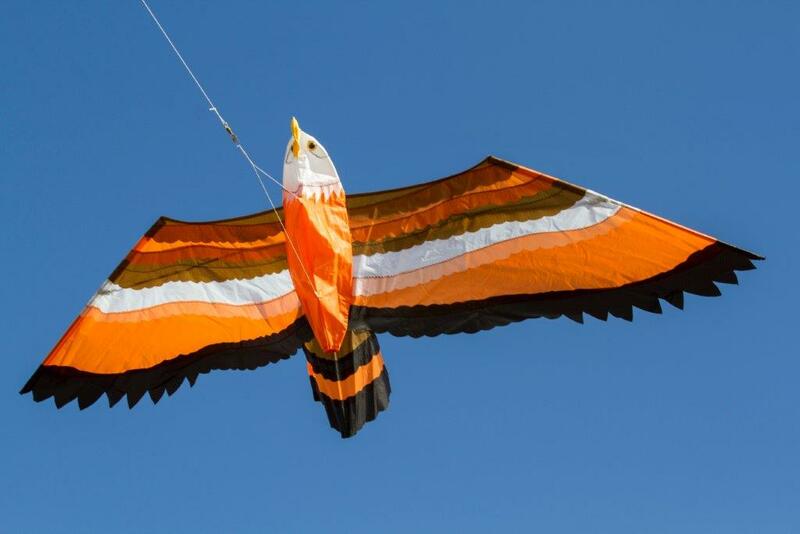 Can I bring / fly my own kite? Yes. There’s lots of space for public flying but please don’t fly your kites above 30 meters (90 feet). 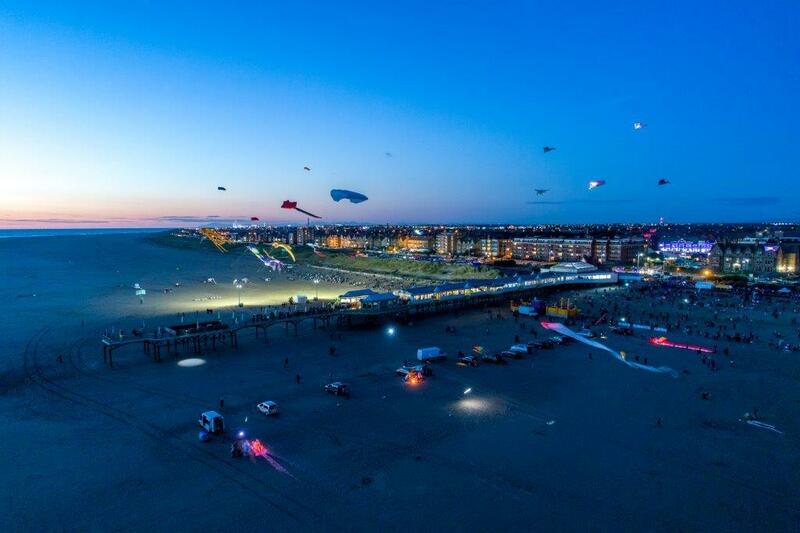 A height limit is in force from Blackpool Airport and any infringement could jeopardise future events. Can I bring a barbeque? No. There is a ban on barbecues on St Annes beach. 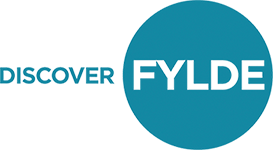 We can, however, recommend the local eateries, with delicious hot and cold food and drinks served at the Pier and close to the kite festival – see the Food and Drink section of this website. What if the weather forecast is bad? Kite flyers are a hardy bunch. They’ll be there, giving it a go, whatever the weather. 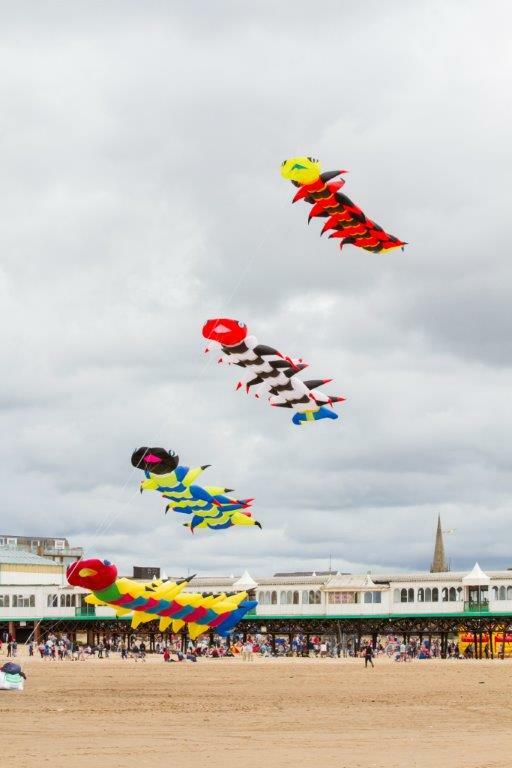 If it gets seriously wet or windy they might have to make a decision based on kite flyer and public safety, and the value of the kites on display. 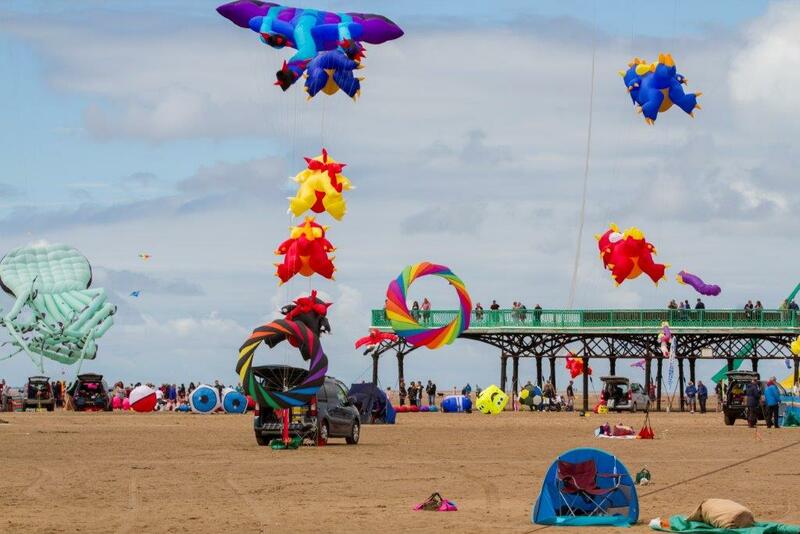 In the unlikely event that there’s not enough wind, there will still be plenty to keep the family entertained on the beach, St Annes beach and on the pier. Can I trade at the event? Limited slots are available. 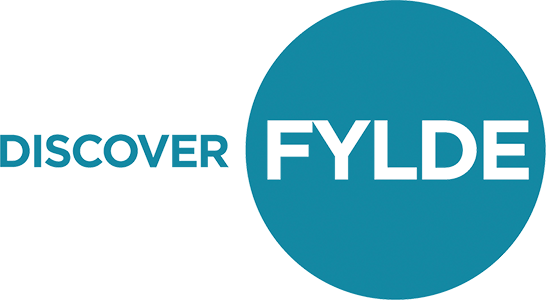 Please get in touch via here and we will be in touch. 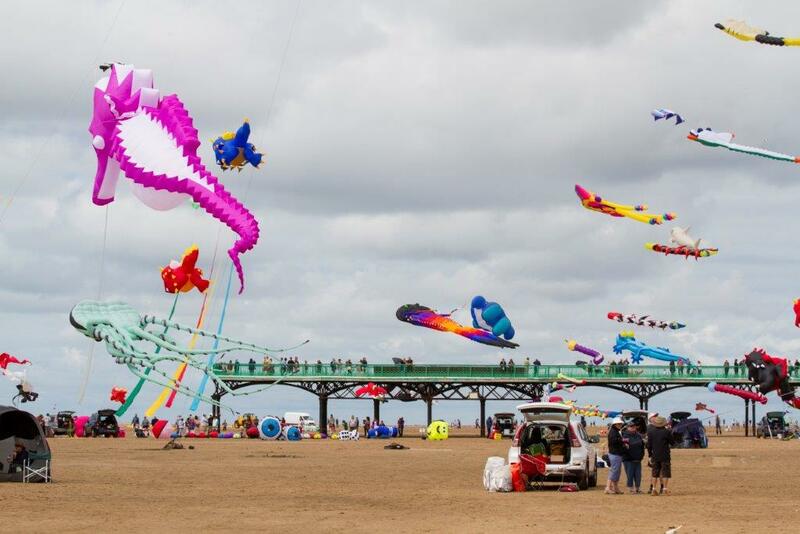 Away from the main event on the beach and Promenade, do take time to visit the town centre of St Annes on the Sea, where you will find many shops, cafes, restaurants and the beautiful Ashton Gardens with its popular Pavilion. There’s additional parking and toilets in the town centre too, and good accessibility too. The town centre is just one hundred yards from the pier. 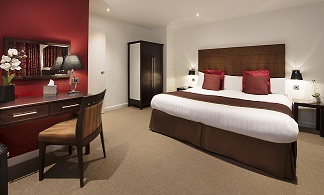 There are plenty of good quality, welcoming guest houses, holiday apartments and hotels in the area and use the accommodation section on this website where there’s plenty to chose from (always book direct for the best rates). 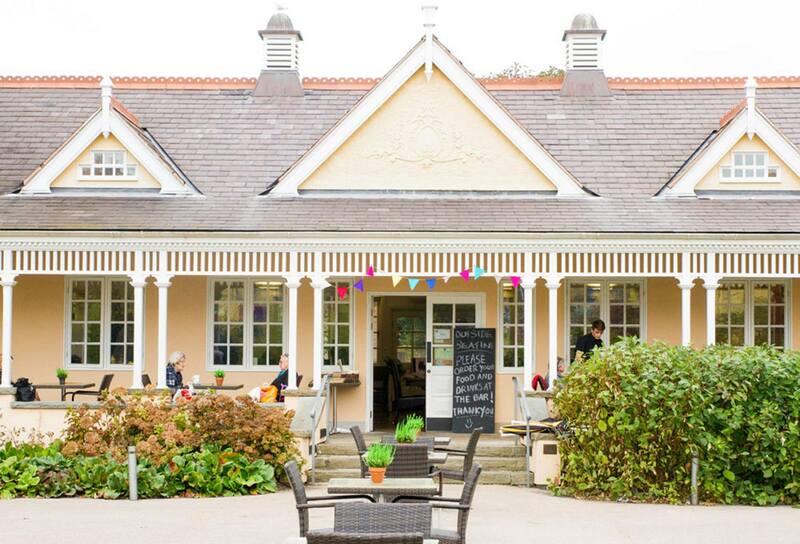 There are fabulous places to eat locally too.